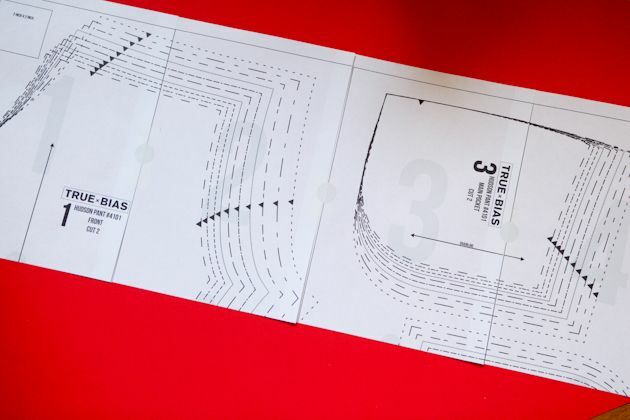 Today we are going to talk about printing, and assembling your pdf pattern from your at home printer. Then we will layout our pattern, cut out our fabric, and transfer markings. 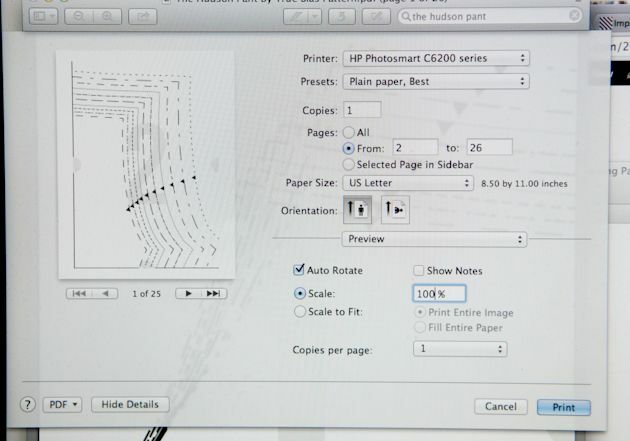 After you open up your pattern in whatever program that you wish to view it in, go to File – Print. When your printing dialog box comes up there are a few things that you need to be on top of. 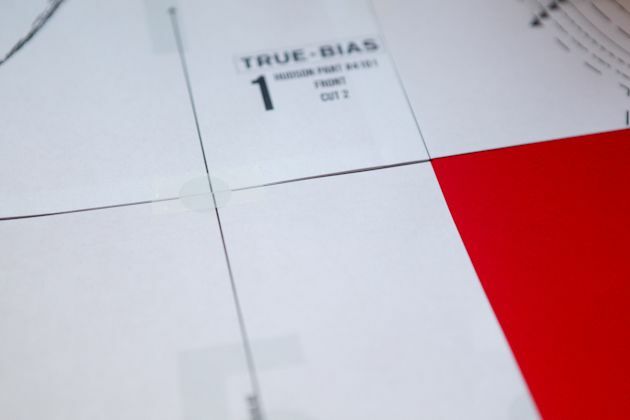 First make sure that the scale to fit is unchecked and that the scale is set to print at 100%. You will also notice that at the top of my page I have selected Plain paper, Best. 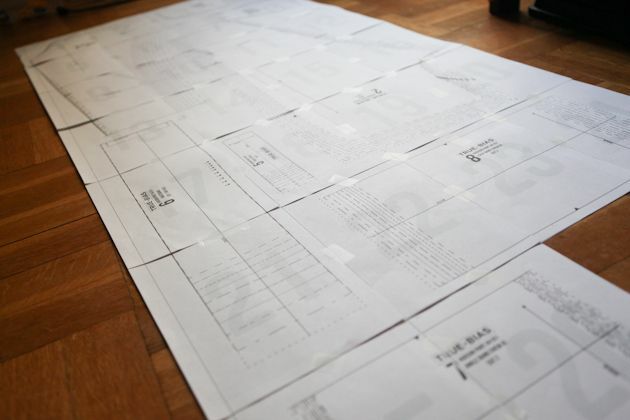 This is personal preference, but I have learned that if I use this setting as opposed to a draft setting that my pages print much more evenly making the assembly process much easier. 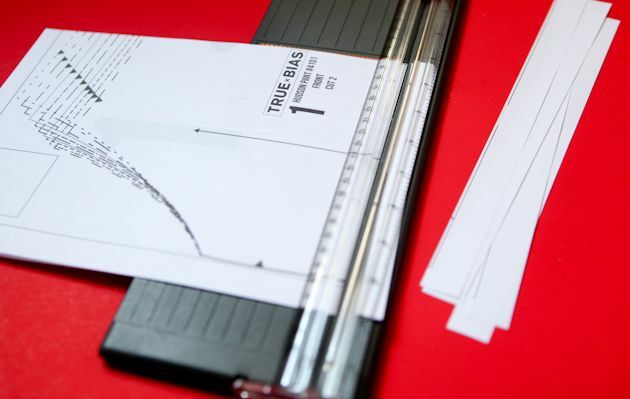 At first, we are just going to print of page 1 so that we can double check our scaling. 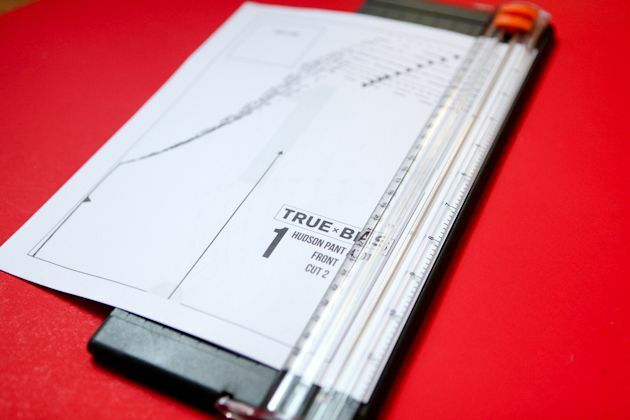 Once you have printed page 1 then take a ruler and measure the 2″ x 2″ square. 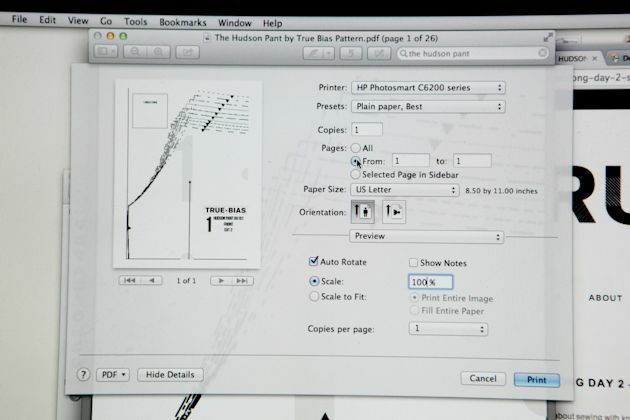 You can also print out your instructions at this time using the same method, or you can just view them on your computer to save some paper. 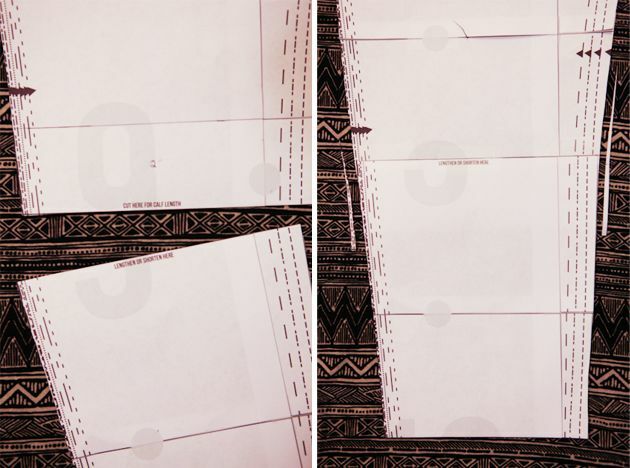 Now that your pattern is printed lets put it together. There are lots of ways to do this, but I will show you the way that I like to do it. I like to take my paper four pieces at a time (make sure that they are all facing the same way). Then I take a paper cutter (you can use scissors or an xacto knife if you don’t own a cutter) and cut off the right side border and bottom border. I like to do these in batches of four, but you can also do them one at a time if it makes you more comfortable. Now line the four pattern pages up so that they go in numerical order by the big light gray number in the middle of each page. Then match up the gray circles so that the two halves match up and make a whole. Tape in place. Continue in the same way with the next four pattern pages but this time attach each page to the one next to it and the one above it. Continue for all remaining pattern pages until they are all connected. It should look something like this once you are done. 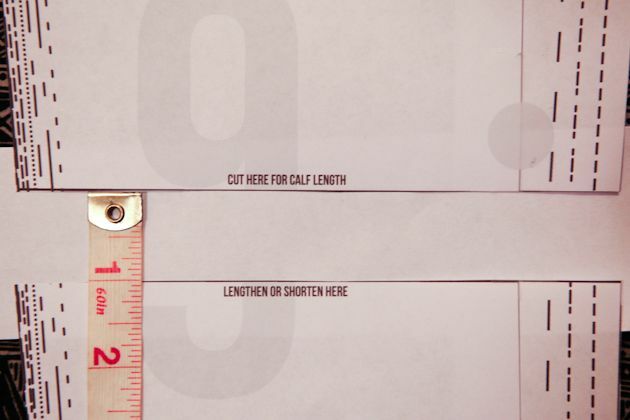 Just a little note on choosing what size to cut. 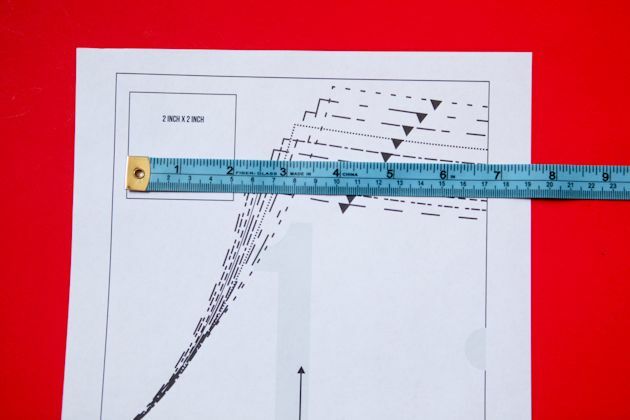 Take your waist, hips and height measurements with a measuring tape and compare them to the size chart in your pattern instructions. If you are between sizes use the larger one. If you are multiple sizes then use the one closest to your hip. Because the waist is elastic the waist measurement is not as important. Once you have chosen your size then cut out all of your pattern pieces according to that size. 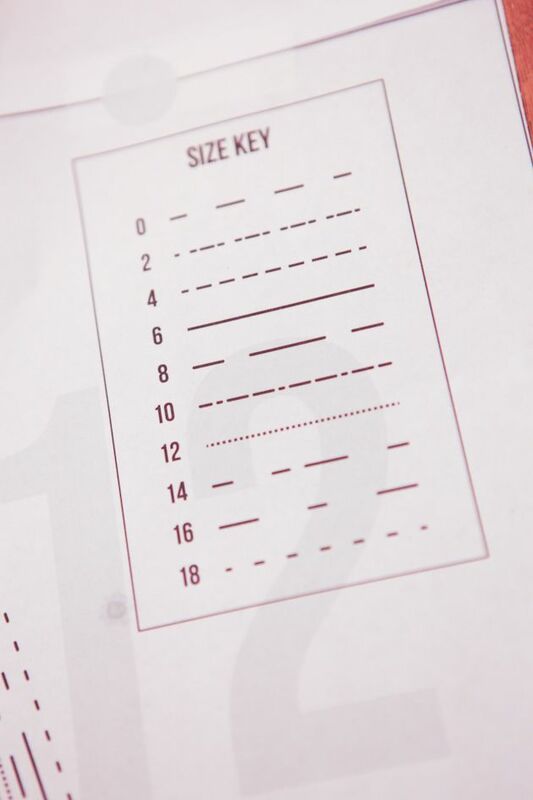 Use the size key included in your pattern printout (above) to determine which dotted line to follow for your size. The pattern was drafted for someone who is 5’5″ so if you are taller than that then you may want to lengthen your pants where indicated on the pattern pieces front and back. If you are shorter like me then you will want to shorten them. To do so just cut along the line indicated on pattern pieces front 1 and back 2. 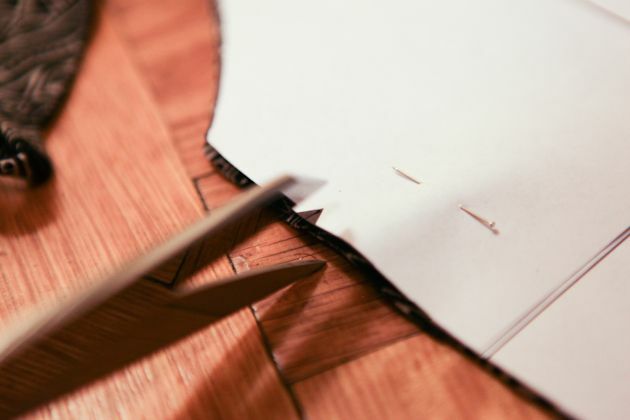 To lengthen them put some paper behind the cut pattern and separate them the amount that you want to add to the length. Keep them lined up and tape in place. To shorten them do the opposite by overlapping them by the amount that you want to remove from the length. You will need to redraw and trim the inner and outer sideseams so that they are smooth again. Before we get fabric involved make sure that it has been washed and dried. Now that it is ready to go fold your fabric in half lengthwise so that the selvages are touching. I like to have wrong sides facing in, but that is up to you. 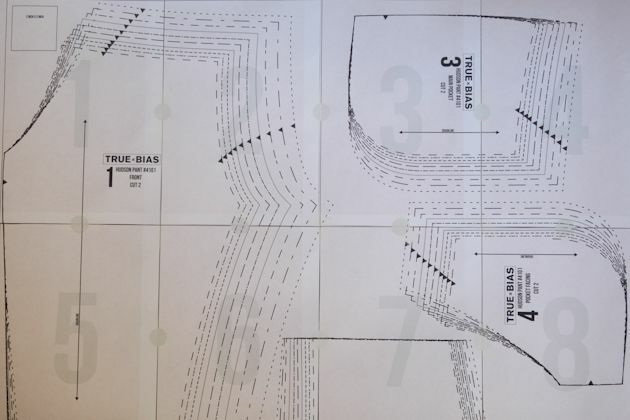 Then lay out your pattern pieces according to your fabric layout and your sizing on page 3 of your instructions. The layout will be different according to your size. Most importantly the waistband needs to be cut on the fold and all grainlines need to be parallel to the selvage or perpendicular to the direction of most stretch. If you decide to do a contrasting fabric for your waistband, ankle/calf band, and pocket detail (as I am doing during this sewalong) then your layout will be a little bit different. 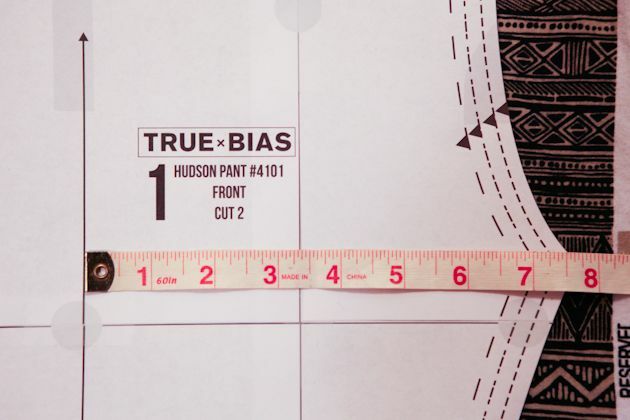 You will need 1/2 yd of your contrasting fabric and you will just need to make sure that you follow the rules of having all grainlines parallel to your selvage (or direction of most stretch) and that your waistband is on the fold. Now cut out your fabric! You will want to transfer all markings from your pattern pieces to your fabric. There are lots of ways to do this, but I will show you a few ways that I like. Probably the fastest and easiest way to mark is a simple clip. I do this for all notches. 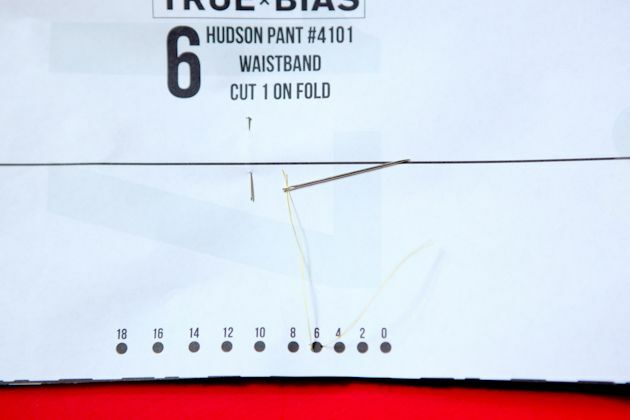 One thing to keep in mind is that the seam allowance is only 3/8″ so your clips must be small and no longer than 1/4″. 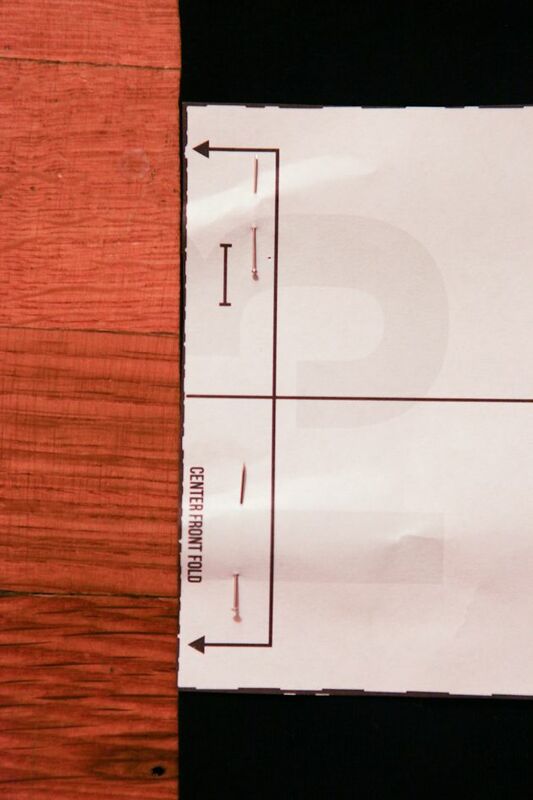 This is probably the easiest way to mark something in the middle of a pattern piece. I use this to mark the buttonhole. 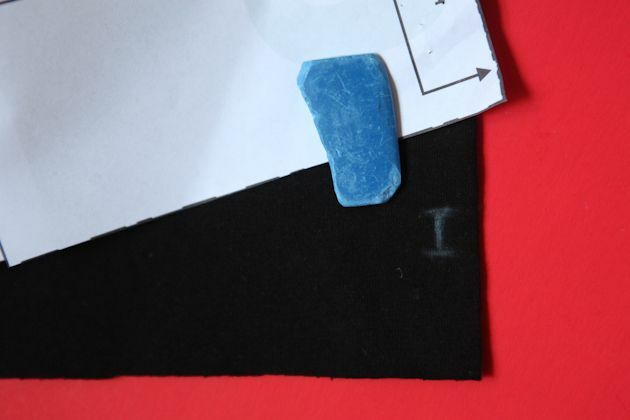 You can use pins as a guide to know where to mark your chalk. This is a little old school, but it’s the way my mom always marked things so it’s become a habit. I use this way to mark the circle on the waistband. This circle will help you to allign your waistband with the sideseam of your pants. You could also just use a little clip here, but you run the risk of being confused as there are other notches on the pants that you don’t want to match it to. Wow, that was a long post. But at least next time we are going to start sewing! Thank you to Wanderlust Fabrics for sponsoring this sewalong. I just bought the Hudson pants pattern – not sure I understand whether the 3/8″ seam allowance is already included in the drawing? Or do I have to add it to my fabric before cutting?